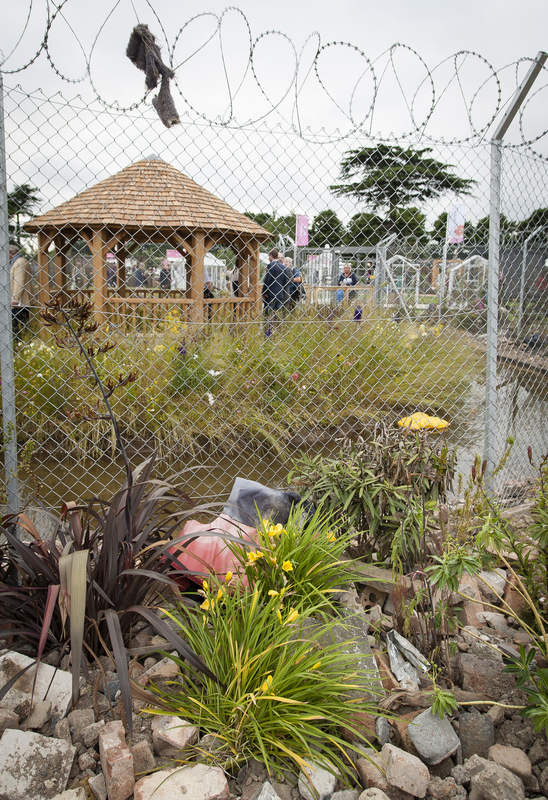 The UNHCR 'Border Control' Garden is a conceptual show garden that appeared at the RHS Hampton Court Flower Show in July 2016. 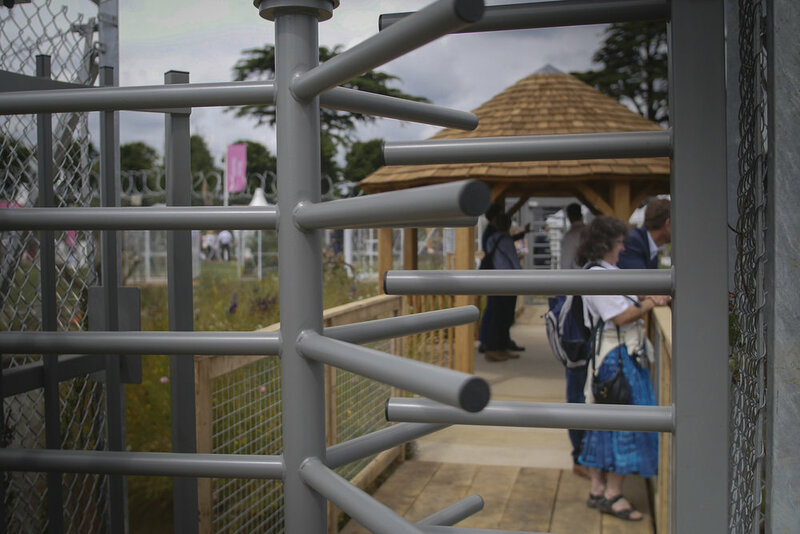 The garden received an RHS Gold Medal and the coveted 'Best Conceptual Garden' award. 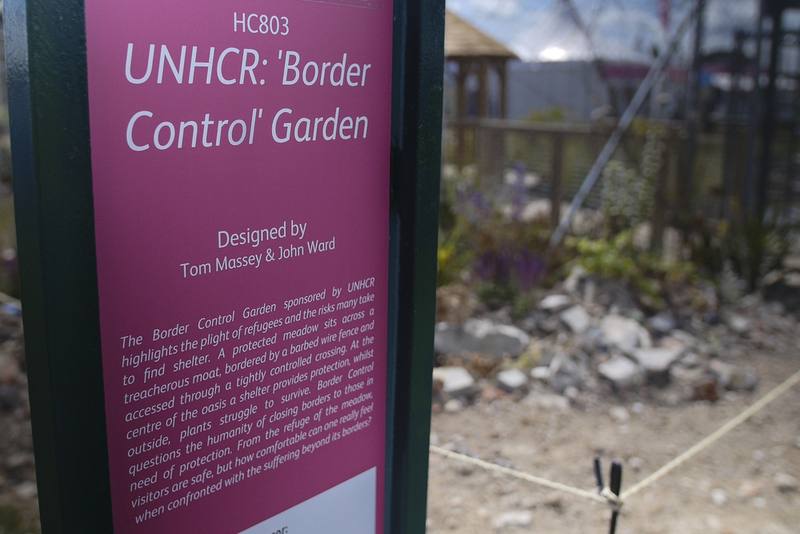 Designed in collaboration with John Ward, built by Landform Consultants and sponsored by the charity UNHCR (The UN Refugee Agency) the garden highlighted the refugee crisis with symbolic use of British native and non-native planting. 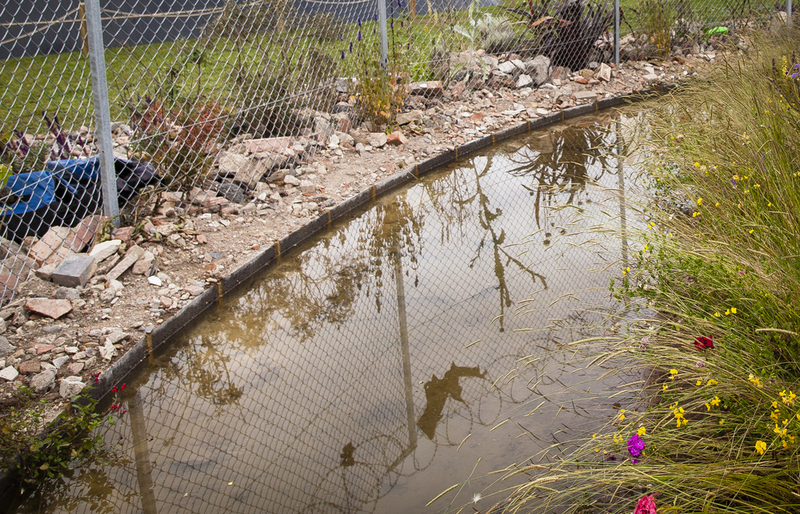 A beautiful, fertile and tranquil island of lush planting sits across a moat bordered by razor wire fencing. Outside the fence, struggling amongst rubble, starved of nutrients and water, non-native plants fight to survive, desperate to reach the protected island. 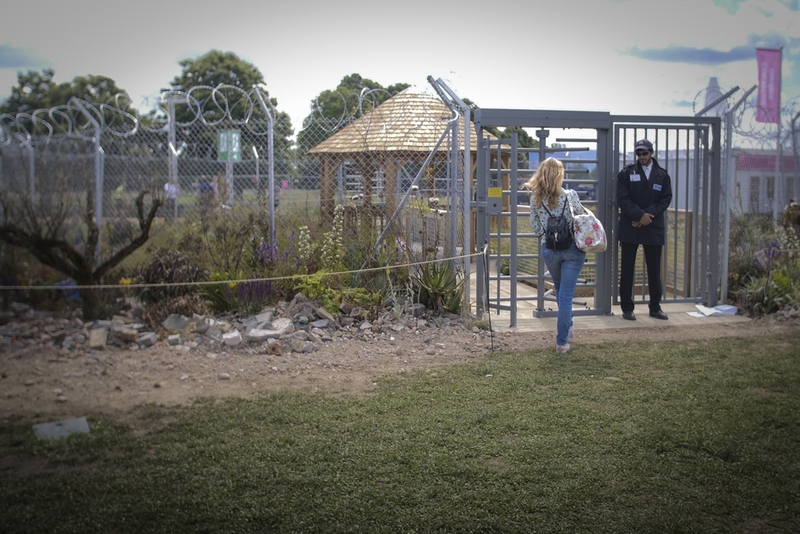 As visitors approach, their view is from the non-native refugees’ perspective, a land full of danger, despair and suffering with only glimpses of the sanctuary beyond. 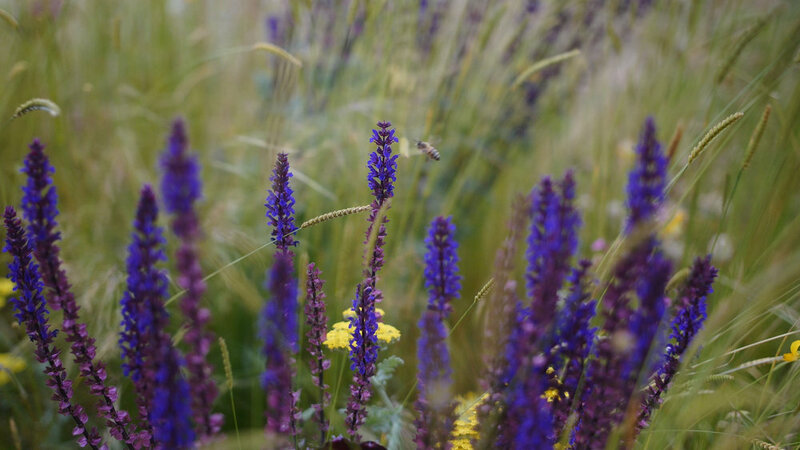 However, dispersed amongst the rubble, surviving against the odds, a number of beautiful non-native plants shine, colourful displays of strength and hope in the face of adversity. At first glance the central island planting appears to be a traditional British wildflower meadow, but on closer inspection, many of the plants from the outer zone have made it across, integrated amongst the native wildflowers, blending in, harmonising and adding to the overall beauty of the sanctuary. Inside the garden the visitor is enveloped in a lush and beautiful oasis; but how much can this beauty truly be appreciated when surrounded by the suffering beyond? 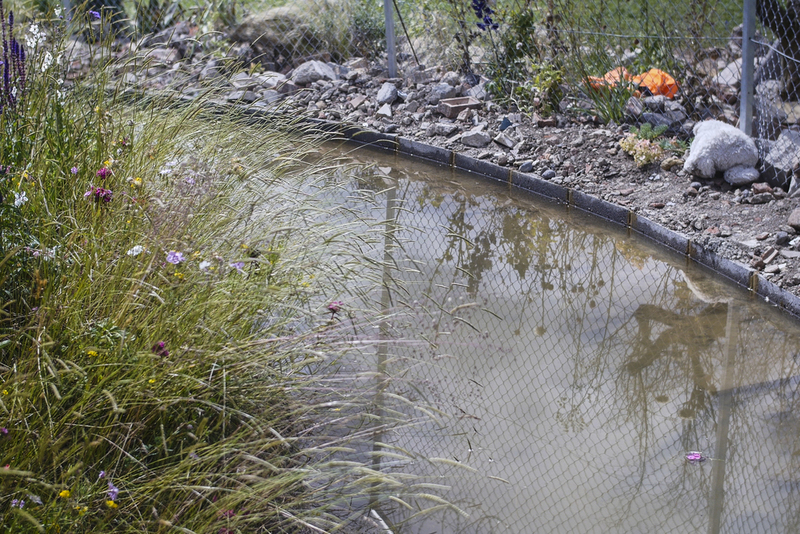 Read more about the conceptual garden in the RHS press release here.